Hi everyone, I have some exciting news to share, my blog, yep this very one you are reading, is being moved to a permanent location at Learningtowearheels.com. It is something that I have been contemplating for a while and I decided to take a leap of faith and make it happen. Please stop by and check out the new content (and old content), as always leave me comments, feedback and your thoughts. And if you are interesting in doing a guest post, I am always open. Learning to Wear Heels is still a lifestyle blog with everything from DIY and home improvement projects to recipes and travel tips. It contains recipes and how to instructions for things I am passionate about it my life. Want to learn how to pick out the perfect paint color or how to re-finish an old fireplace, paint an ombré baby dresser or make a killer homemade spaghetti recipe. It is moving all here. Thank you for your support over the past year, I am looking forward to chatting with you at Learning to wear heels. My husband makes me coffee every morning before I leave for work- the coffee tastes that much better when someone else makes it for you. We left on Wednesday, February 8th for part two of our honeymoon! 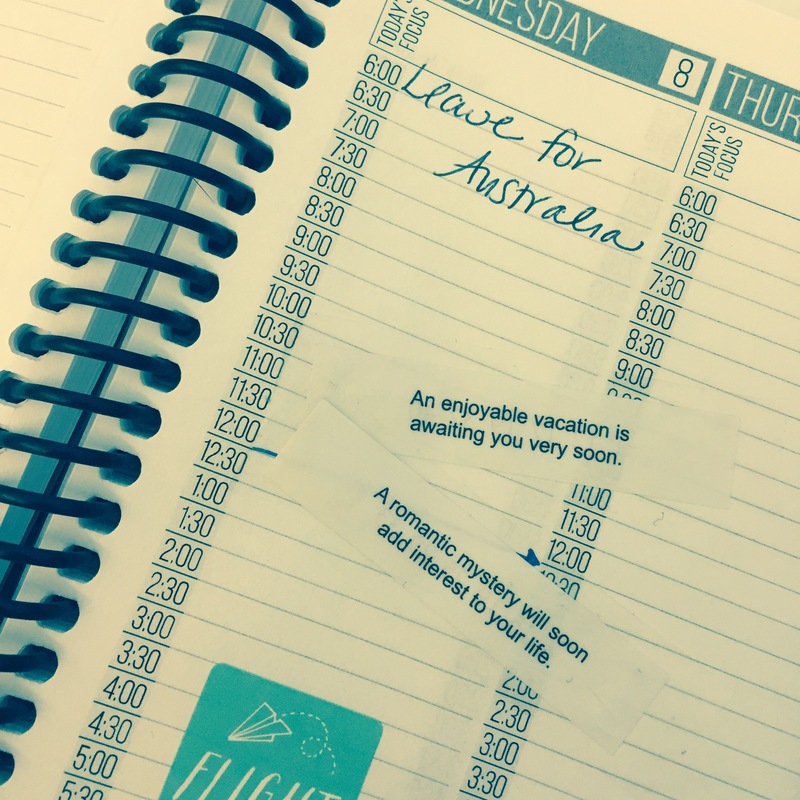 28 days in Australia and Fiji! Looks like my fortune cookie knows this vacation is much needed! Look for posts once we get back from our adventure down under!